On 26 March 2016, our ASTRO-H (Hitomi) X-ray space observatory went into an uncontrolled spin and broke apart. It was a loss felt by both ISAS and the international astronomical community. With four telescopes and a set of Gamma-ray detectors, ASTRO-H was sensitive to a broad range of wavelengths from 4 nanometres down to 0.002 nanometres. 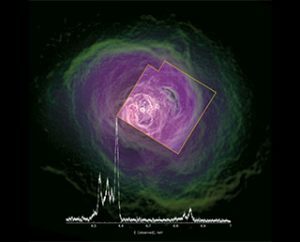 One of the observatory’s most intriguing results came from its Soft X-ray Spectrometer (SXS). A spectrometer measures the intensity of radiation emitted at different wavelengths, like looking at the strength of colours in visible light. The ‘soft’ part refers to the range of wavelengths SXS measured, which were in the longer and lower energy part of the X-ray spectrum. Rather than measuring X-rays from compact sources such as the rapidly spinning material around a black hole, SXS was sensitive to X-rays emitted from sources that stretched across large volume of space. One example of such an extended source is the hot gas that fills the space within galaxy clusters, and it was here that ASTRO-H’s brief life revealed an intriguing result. Clusters of galaxies dictate the structure of the cosmos, stretching millions of light years across the Universe and containing hundreds to thousands of individual members. Our own Milky Way Galaxy is part of the Virgo Supercluster that extends over a staggering 110 million light years. Between the galaxies, the cluster is filled with hot gas that stubbornly refuses to cool. The huge mass of a galaxy cluster creates a deep gravitational well. Like dropping a penny into a water well, gas falling into a galaxy cluster gains energy and heats up to over 10 million degrees. Such incredible heat is emitted as high energy X-ray radiation, rather than the lower energy infrared of your kitchen stove. Radiating away this energy should mean the gas cool and collapses, causing the galaxy cluster to shrink. However, this is not observed, suggesting the gas is being continually re-heated. One possibility is that the super massive black holes in the centre of the cluster galaxies were powering jets that drove a fresh supply of energy into the inter-cluster gas. Such ‘Active Galactic Nuclei (AGN)’ certainly exist and if they were responsible for the inter-cluster temperatures, the cluster gas should be highly turbulent from the stirring of these galactic engines. Before its destruction, ASTRO-H was able to observe the Perseus Cluster with SXS. It found gas moving far slower than expected, suggesting that the continually high temperatures were not being driven by turbulence alone. It was a tantalising observation that demonstrated the potential of SXS and left the X-ray community with unfinished homework. Measuring turbulence velocities is a difficult task, requiring very precise spectrometry. No current X-ray telescope can replicate ASTRO-H’s measurements and the next planned observatory is not until the launch of the European Space Agency’s Athena in 2028. Not only does this leave a long gap before ASTRO-H’s homework can be tackled, it also prevents the Athena spectrometer being optimally designed due a lack of any previous measurements. In short, the loss of ASTRO-H left a wrench in the progress of X-ray astronomy. Rollout of H-IIA Launch Vehicle No. 30 (H-IIA F30) with ASTRO-H onboard. 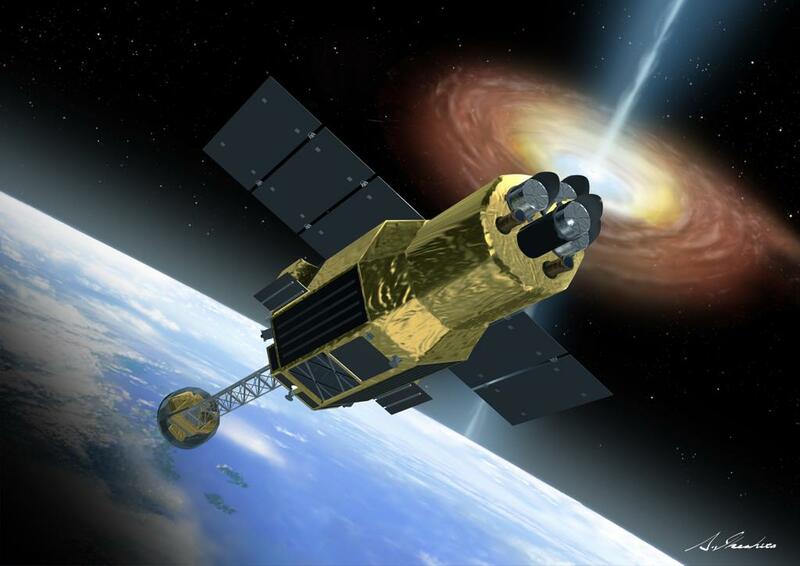 The solution is the X-ray Astronomy Recovery Mission, XARM (pronounced ‘charm’); a collaboration between JAXA and NASA to replace ASTRO-H’s soft X-ray capabilities. The new observatory will carry a replica of ASTRO-H’s SXS instrument, sensitive to X-rays between 4 nanometers to 0.1 nanometers (and likely down to 0.06 nanometers for the brightest objects). As on ASTRO-H, the sensor for the SXS instrument will be built at the NASA Goddard Space Flight Center. ISAS/JAXA will construct the surrounding dewar that refrigerates the instrument using superfluid helium to bring the temperature down to 1.4 degrees above absolute zero. A further cooling stage designed by NASA will lower conditions still further to just 0.05 degrees above absolute zero. These extreme temperatures combined with the support against vibrations from the spacecraft, allows SXS to reach its unprecedented levels of sensitivity. It is —Tashiro points out— a totally hybrid instrument made between the two space agencies. Naturally, a priority for XARM is that the new satellite does not meet a similar fate to ASTRO-H. Detailed exploration of ASTRO-H’s destruction revealed flaws in the system design that allowed problems to pass unnoticed by the science and engineering teams. ISAS has redesigned the organisational structure so that future missions will be led by a three person team consisting of a Project Manager (PM), System Manager (SM) and Principal Investigator (PI), rather than a single scientific or engineering lead. Such a set-up will ensure it is far more difficult for potential issues to go unchecked. JAXA plans to launch XARM in the early 2020s. With XARM focussing purely on the soft X-ray, the observatory will be smaller than ASTRO-H’s design. Tashiro and the XARM researchers are currently investigating small changes to the original launch design to ensure vibrations and stress to the new observatory are kept as low as during ASTRO-H’s deployment. 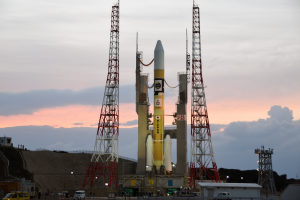 The spacecraft will launch on the H-IIA rocket from Tanagashima Space Center. With ASTRO-H, the Universe gave us a glimpse of one of its secrets. With XARM, we can uncover how the largest structures of the cosmos are powered.